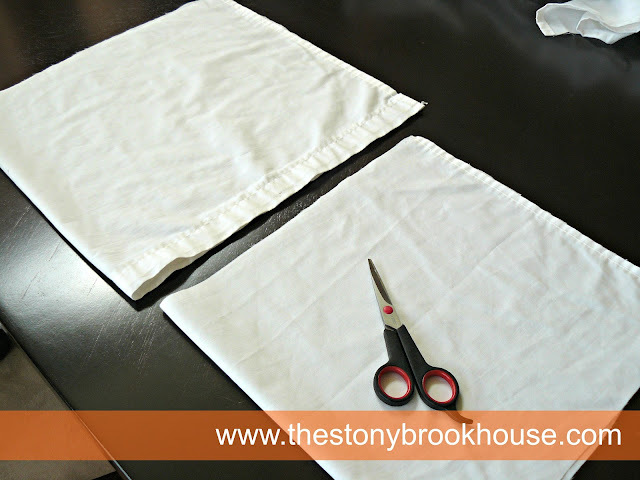 I’m actually making the cute lil 'ol pillows for my office bench! In the process, I realized I needed some pillow forms. So, I just made my own. Didn’t they come out cute? I can’t wait to show you the actual pillows covered! I checked around and you can pick up pillow forms for about $5-$15, depending on the size. If you know me, it’s gotta be cheap, even better…. FREE! So, I got to searching around the house. 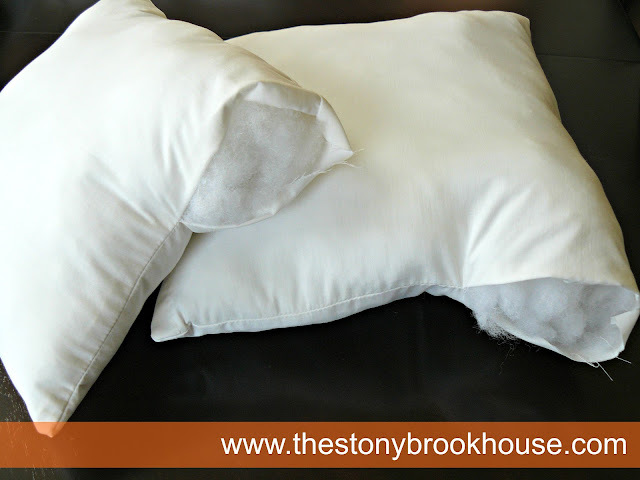 I figured I’ve got to have some pillows around here I’m not using. In the dreaded basement, I found these…..
and look what I found when I unzipped them? Stuffing! Perfect! These UGLY pillows came with one of my couches. Well, why would I? They are REALLY UGLY! Anyway, I hunted for an old sheet. I found the one I used for the DIY Disaster and the same one I cut a piece out for my Coffee Tray. This is just making me smile. First, I didn’t have to drive anywhere to get anything and it’s all free. I could also say, I’m “repurposing”, right? 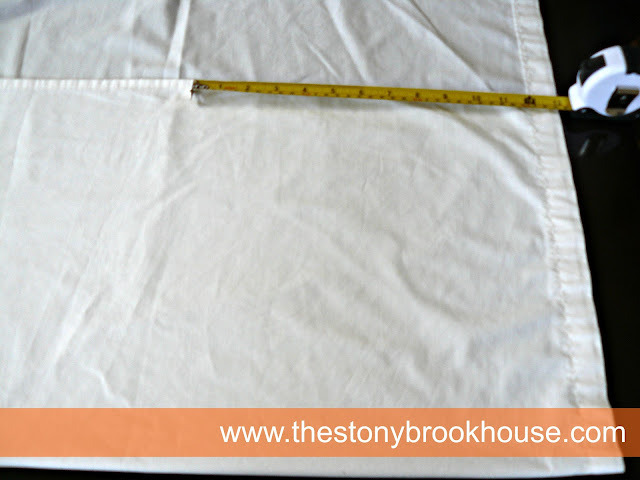 I folded over the sheet to approximately 13inches. I want my larger pillow to be around 12x12, so that's why I cut it at 13 inches. That should give me enough allowance for a small seam. The smaller pillow I cut at 11 inches because I want that one to be approximately 10x10. Then went back to the dreaded basement to sew them up. I have GOT to get down there and CLEAN! When I sewed them, I left an opening near a corner about the size of your hand so you can squish all that stuffing in. Make sure you fill in the corners. All stuffed, now I’m ready to sew closed the openings. I just used my zipper foot to get close to the edge. That’s it! 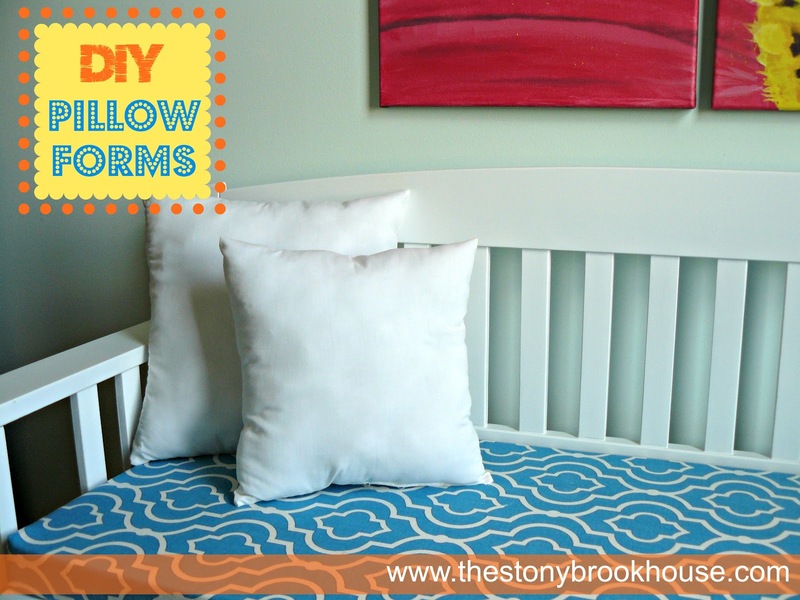 There you go, pillow forms. Thanks, Ash! And you are so right! what a good idea! and I LOVE Your bench! that fabric is so cute! Hi Katie! Thanks! You know I hated that bench before I painted it. It's amazing what some paint can do. I truly love your blog. You really keep me inspired. Thanks so much!!! Thanks, Tamishia! I appreciate you reading... Btw... you have a beautiful name! I so agree with Tamishia - you keep me inspired. So much that yesterday I bought my paint stripper for my desk, gloves, and scraper. I'm getting closer Lori. I can do this! Nana! I love you!! You rock! I can't wait to see this desk! What a great idea to use what we already have AND get the attic (or dreaded basement) a little less cluttered. Thanks for sharing that , Lori! Miss Kitty, I love hearing from you!! Thank you for your words of encouragement! I've done this exact thing many times! Great way to save a few $$$. Hi Suzy! It is such a great way to save $$. Great minds think alike!! :) Thanks for reading! 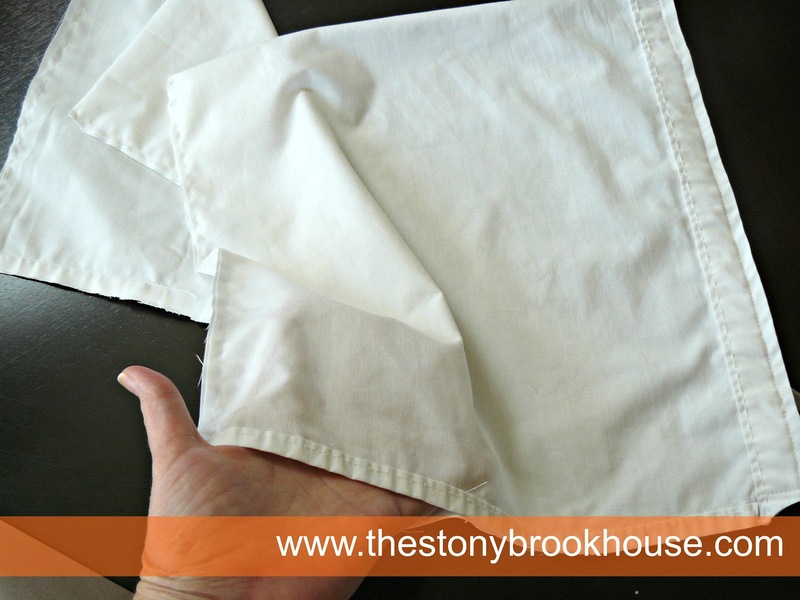 I was almost to just fold an old flat pillow in half and cover it. Hello! 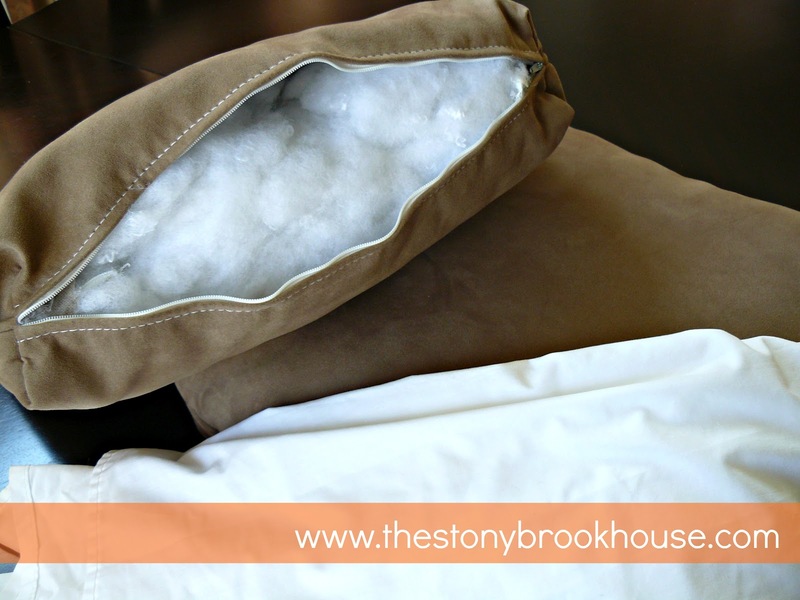 Just take the stuffing out and use the same fabric from the junky pillow to make a new shape. Such an easy idea but it took this post to get me to figure it out. Thanks! I'm so glad it helped!